Filmed in Michigan this Hollywood quality motion picture will be premiered across the country in a traveling debut form the Midwest to the Southwest before expanding to key coastal and international markets. The film showcases some of best Northern Michigan has to offer, along with an all-star cast. 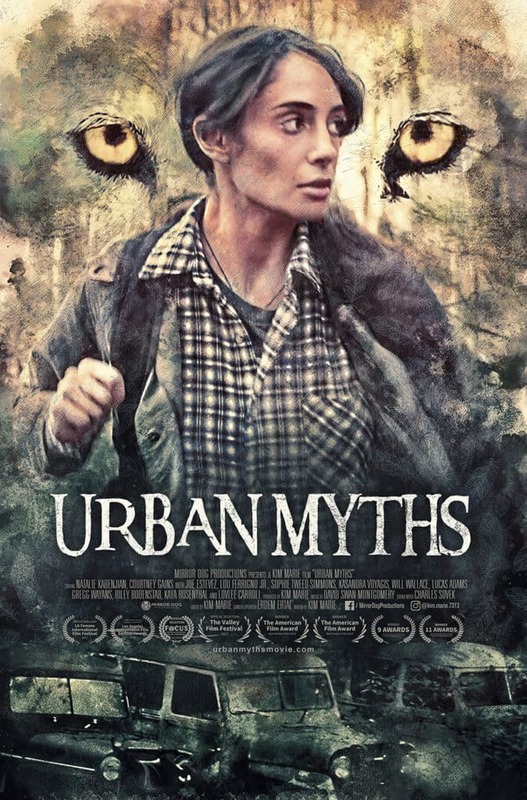 Urban Myths is a Psychological/Suspense/Paranormal Thriller with an underlying moral rooted in tribal lore. It’s about family, friendship, instinct, light verses dark, love and loss that takes you on a roller coaster ride of emotions. Mirror Dog Productions, LLC is a full service production company collaborating with other capital sources and distributors for film, television, documentaries, and soundtracks. Our team consists of highly experienced production professionals, cast, crew, and directing talent, which have established contacts within the television, film, distribution, and music industry in Hollywood. Mirror Dog seeks to captivate audiences with quality, compelling film artistry to engage conversation and inspire change, from the Inside, Out.